It’s hard to believe that winter is really here! It’s been great working with you this year, and we hope you’ve been satisfied with our services. Your business means a great deal to us, and we’re always working hard (and looking for new ways) to keep you happy with us. This month you will be receiving a pre-pay letter from us outlining our program for next year. Pre-Pay before 12/31 and Save 10% ($97.50) on Next Year's Services for your property on 413 Elm St! Contact us today to get in on the savings! 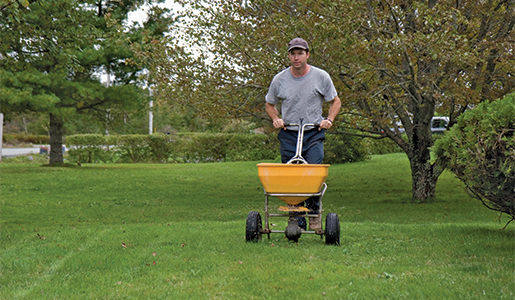 While the garden gets a needed rest through these cooler months, there are some services we’re still performing, but outdoor work has slowed down. Meanwhile in our offices, we’ll be busy. We use this time for training to get licenses and certifications renewed and upgraded. This process allows us to present the most capable and competent crews on your property. We’re also overhauling all of our equipment so it can perform at its peak during the season. We want you to be pleased with your program, and we invite you to call us anytime to discuss your needs in detail. We thank you for your confidence in us, and we look forward to working with you again. Have a great winter! 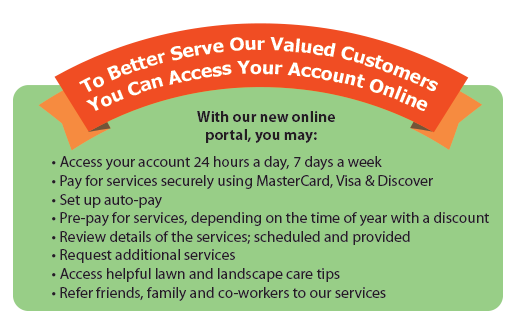 To access your account online, please visit our website at www.simplygreenlawncare.com.